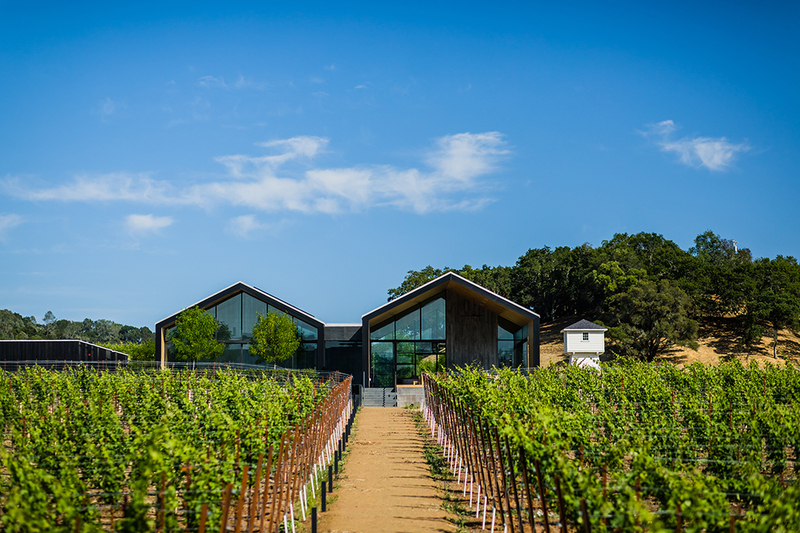 Those of you who are familiar with Silver Oak Napa Valley will be ecstatic to learn they recently opened an Alexander Valley Winery in August of 2018. I was lucky to attend their opening Release Day celebration, which was beyond fabulous, over-the-top and so much fun. 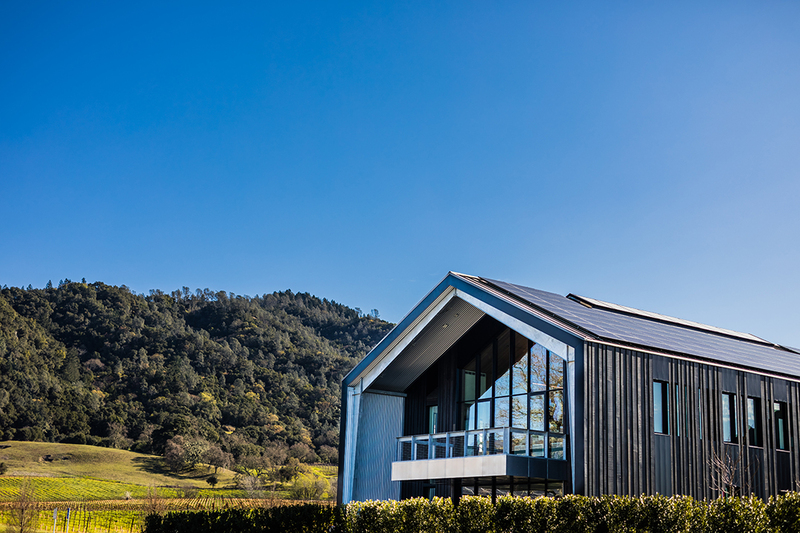 See more about this stunning Twomey Healdsburg winery, Silver Oak’s sister winery producing delicious Pinot Noir and Sauvignon Blanc. 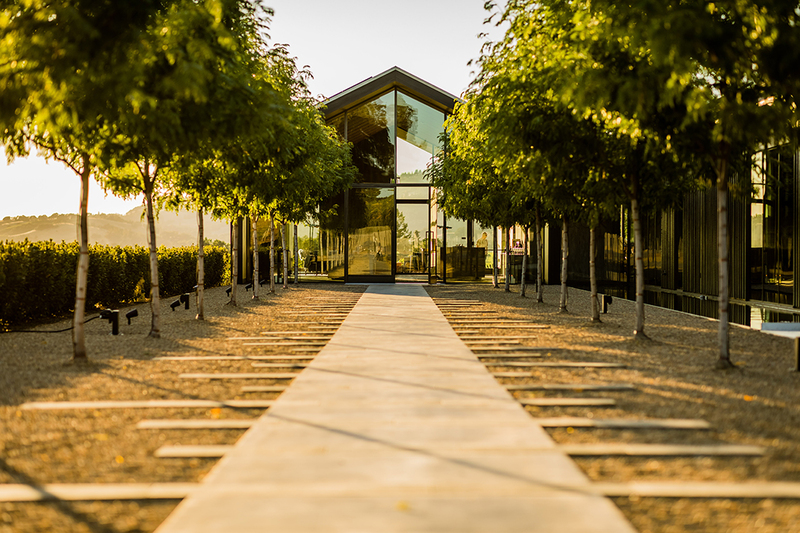 The grand entrance to Silver Oak Alexander Valley. It’s hard not to be impressed when you arrive and see this stunning water feature and long pathway leading into Silver Oak. It really does create some excitement and mystery for your first visit. 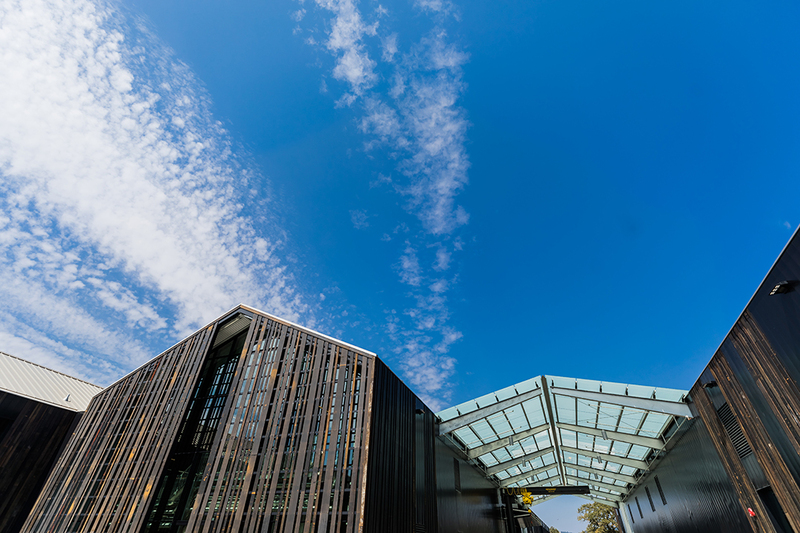 And yes, the interior of Silver OakAlexander Valley is just as beautiful and pleasing to the eye as the outside! Arriving to the Silver Oak Alexander Valley Winery and tasting room (it’s way more than a tasting room once you see it). This is an extremely bright, open and large tasting room creating an environment for guests to taste, hang out, shop and not want to leave. Even on a big event day when this was bustling with guests there was plenty of space for everyone to be comfortable and spread out. 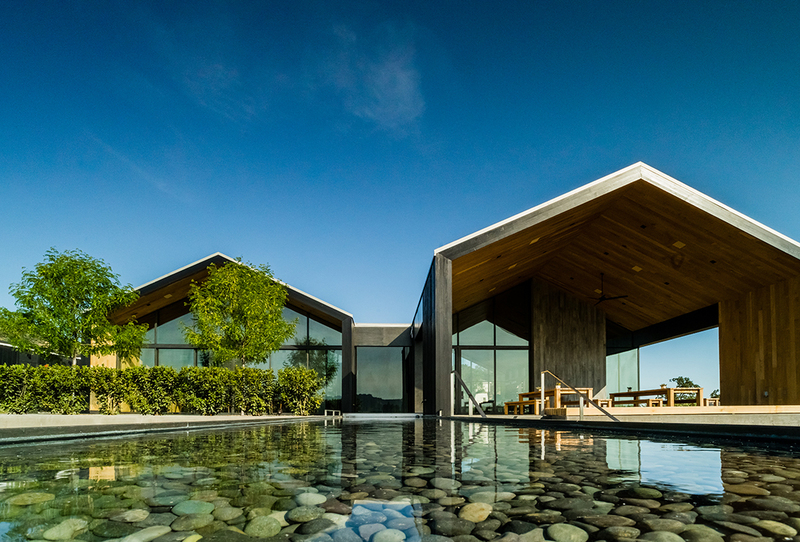 This winery is such a wonderful addition to Alexander Valley and just so beautiful! 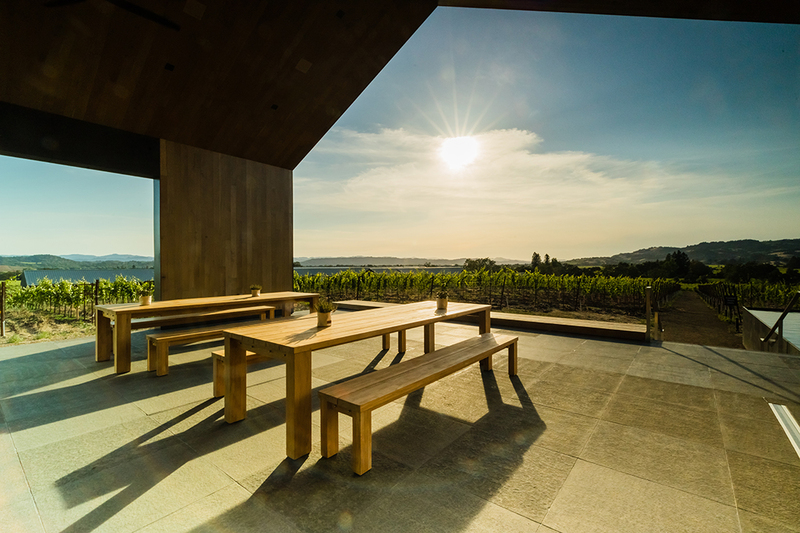 The back of the winery has this covered seating area for guests to enjoy a wine tasting while over looking vineyard views. The Winery has 2,595 rooftop solar panels that produce over one megawatt of electricity a year and helps generate 105% of their energy needs. More than 3,000 building materials and equipment choices were carefully vetted for harmful and commonly found “red list” chemicals. 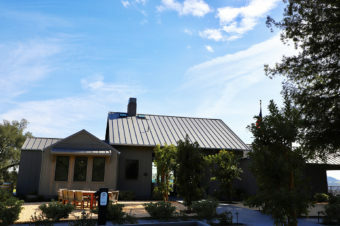 Reclaimed redwood siding on the winery and tasting room was salvaged from old wine tanks built by Cherokee Winery in the 1930s, then and later disassembled by Robert Mondavi when he purchased the brand. 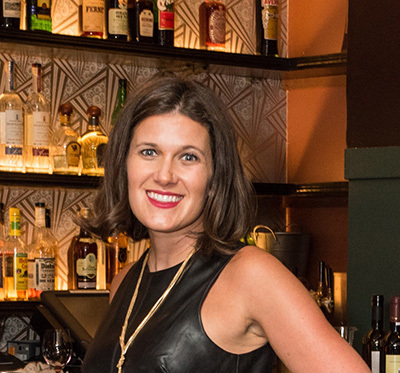 Oak flooring, as well as wall and ceiling paneling in offices and the tasting room were sourced from naturally felled valley oak trees that required removal for safety. 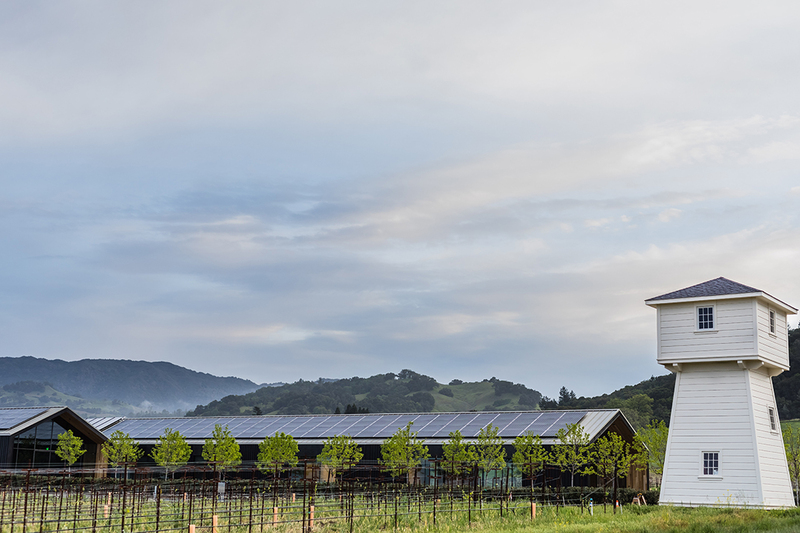 In 2016, Silver Oak’s Oakville winery became the world’s first LEED Platinum production winery for Existing Buildings, Operations and Maintenance (EBoM). 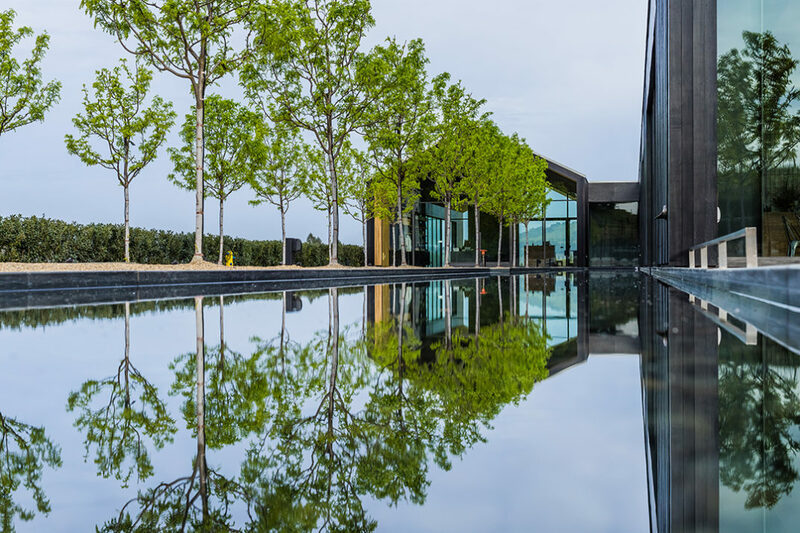 Upon opening in 2018, Silver Oak Alexander Valley’s winery received LEED Platinum certification for Building Design and Construction (BD+C). The two Silver Oak wineries are the world’s first wineries to achieve each of these certifications. 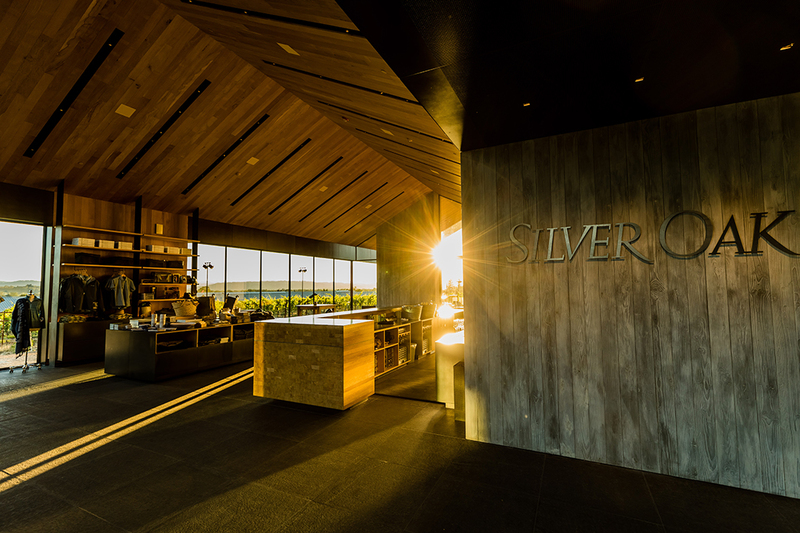 Thanks to the team at Silver Oak Alexander Valley for generously hosting me to this stunning new state of the art winery and my lovely visit to Silver Oak Napa Valley. Stay tuned for coverage on the Napa Valley and the lavish and delicious Silver Oak food & wine pairing experience I enjoyed at Silver Oak Napa Valley on the blog soon!